« AM IBOC turn offs? So, you call this work? 9 comments to Where are, repeat, Where are all the dead birds? actually saw this with my own eyes though. Occasionally I have heard birds hitting the elements of antennas for my HAM station. Never found any carcass in my yard. These facts and figures that are being presented are for birds hitting towers in major migratory flyways. But this has been an issue with suspension bridges as well. Just how protective are we supposed to be? You know what else we have that are stationary and sit above the ground? Trees. We need to cut all of those down. And what else? Oh, yeah, homes. Everyone who agrees with the theory that towers are the problem are hereby ordered to dig a hole in the ground and live in it. (We’ll take up the problem of worm migration at a later time…) What else? Mountains. Those gotta go. Might have to break out some nukes on those. Doubt we have the C4 to handle’em all. Total lunacy! Radio towers stand still bothering no one! Jet engines in airplanes are plugged many times with birds forcing dangerous abrupt landings! One recent case in the Hudson River! So, let’s mandate birdhouses with feeding stations on all towers, no more tower lighting, jet aircraft, or hunting. Just think of the energy savings! 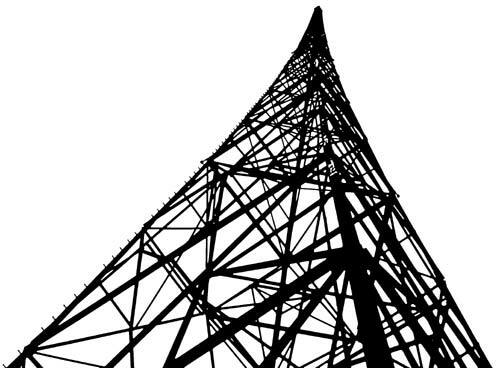 In my opinion this is no stupider than FCC forcing those obnoxious strobe lights on towers everywhere that in some cases where I live the tower is lower than the adjacent trees! I was told by the local FAA person that the red lights that were previously used were attracting birds (figure that one out) so that’s why they started mandating high intensity white strobes everywhere. They’ve even toyed with the idea of putting them on windmill farms where there could potentially be 30 or 40 (or more)of those obnoxious things strobing day and night. The whole thing is out of control. And we all know what it’s really about – Money! He who lobbies the hardest will get their product mandated by influencing the right corrupt government officials. This reminds me of the Windex commercials. I too see a ton of dead birds while running around town and I have a cat that especially likes to “play” with birds, probably because the rabbits have gotten too fast for him. There are definitely going to be some areas more prone to bird deaths than others, and those are probably the ones this is targeting. Wildlife conservation groups themselves can only broadly estimate the loss of fowl life, conjecturing that between 5 million and 50 million birds die from tower encounters. However, if the 80,000 or so towers around the country are bringing down even 1 million birds a year – an average of 13 birds per tower – that probably is enough to warrant a look at new lighting and other fowl safeguards. With that said, it would be interesting to see the numbers they estimate die from bridges, buildings, trees, even cars and other wildlife. Look on the ledge toward the right side of the tower. @Stephen, Nice shot, looks like a Peregrine Falcon. He is not playing along… somebody needs to run over there and tell him that he should be dead. Paul, I took a glance at the tower kill site “science.” Its shady at best. Just a quick glance reveals that none of the papers reflect their claimed “1000 bird deaths a night figure.” Pure fiction as most of the papers seem to intimate that the birds are attracted and confused by the lights. Additionally, if the FFA would just allow the stations to do away with those pesky lights, all would be well! Given their stated purpose as an advocacy group, they have to make a problem where none existed, thus needing a significant chuck of change from the taxpayers. I suspect with the high numbers of bird strikes at wind turbine sites, the will refocus their energy elsewhere. Realizing this item is some FOUR years old, it is still fascinating. I find great parallels in other debates such as the infamous Gun control debate and the “Global warming” craze. As I noted, all rely on massive government intervention and or tax dollars. Kemper, C. 1964. A tower for TV, 30,000 dead birds. Audubon Magazine 66: 86-90. ——-. 1996. A study of bird mortality at a west-central Wisconsin TV tower from 1957-1995. Passenger Pigeon 58: 219-235. Notice the 1000 birds a night comes from a personal communication with Kemper. Also of note is the “120,000 bird carcasses under a 300 m TV tower from 1957-1999” figure. Over 52 year period, that works to be 2307 birds per year or about 6.3 birds a day. Not as imposing. I’ve not been able to locate a copy of the article that addresses the specific article. Many of the links under their science section to the SOPA search site do not return the listed articles, even with significant effort to find them.